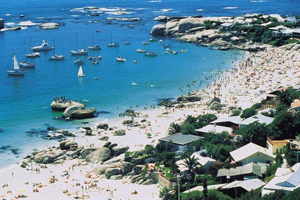 South Africa is aiming to increase the number of foreign tourist arrivals from seven-million in 2009 to 15 million by 2020. Minister of Tourism Marthinus van Schalkwyk told delegates at the South African Association for the Conference Industry meeting held in Somerset West near Cape Town last week, that ? ?it was his department's intention to lift tourism's total contribution to the economy from R189-billion in 2009 to R499-billion by 2020. "South Africa’s status as a premier global tourism destination is now firmly entrenched," he said. "On the back of the 2010 Fifa World Cup, our global visibility reached unprecedented levels." He said that the success story of South Africa's hosting of this mega-event was showcased to a global audience of potential business travellers. "As a country we have already secured more than 200 events for the next five years," he added. "These events will attract about 300 000 delegates to our major business tourism cities and will contribute significantly to foreign direct spend into our economy."